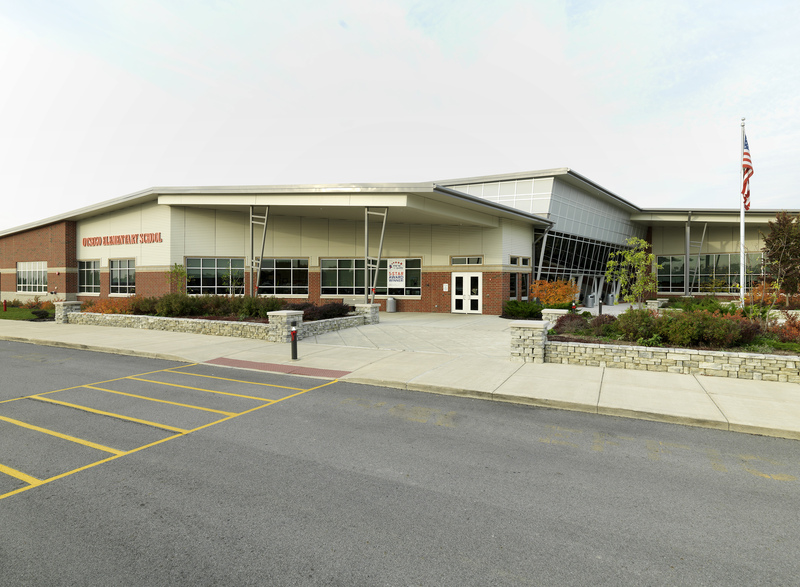 Otsego Elementary School, located in Wood County, Ohio is a single-story, 87,000 sf building designed by Garmann/Miller to unite the four villages the District serves. Completed in August 2012, the Elementary School sits directly west of the existing High School and Junior High buildings and is accessed by a shared driveway from the main road. The campus, which also includes athletic fields and a bus garage, is surrounded by farmland. 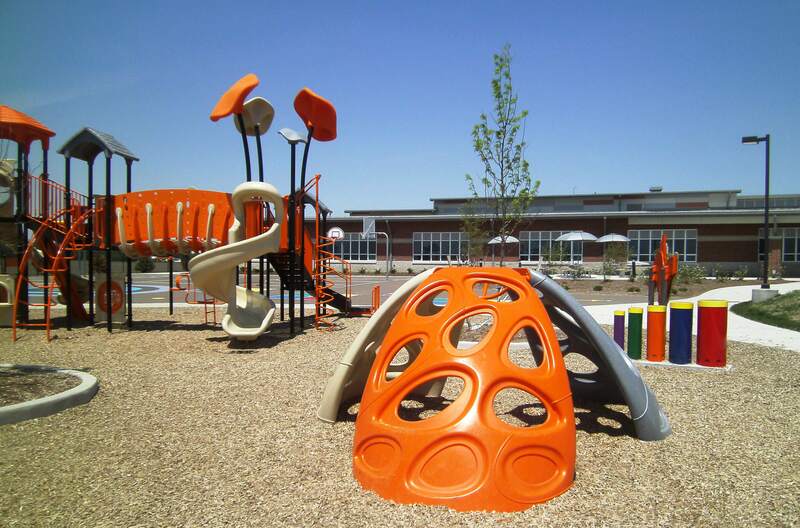 Multi-height, single-slope roof planes are supported by a combination of masonry bearing and steel frame construction, housing approximately forty academic classrooms, two art rooms, music area, media center, and a gymnasium used to educate 780 students from pre-kindergarten through fifth grade. Classrooms form the north and south wings of the building, allowing the communal spaces to be centrally located. Students and visitors enter the building through glass doors into the commons. 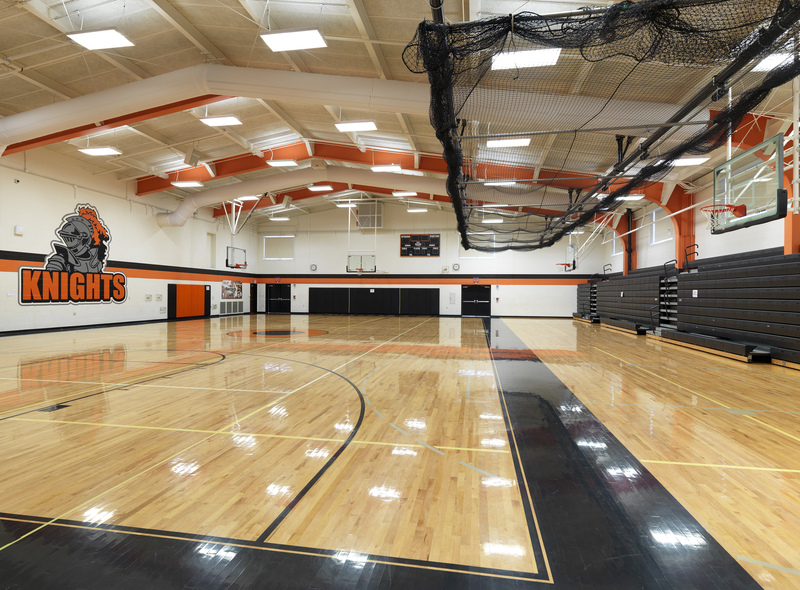 The west end of the Commons houses a small stage which also opens to the gymnasium beyond by way of operable partitions. The north wall of the Commons features a canted glass wall overlooking the front courtyard. This area, just north of the main entrance, can be utilized for outdoor seating by both the Commons and the Media Center, with its curved exterior wall forming the west boundary of the courtyard. 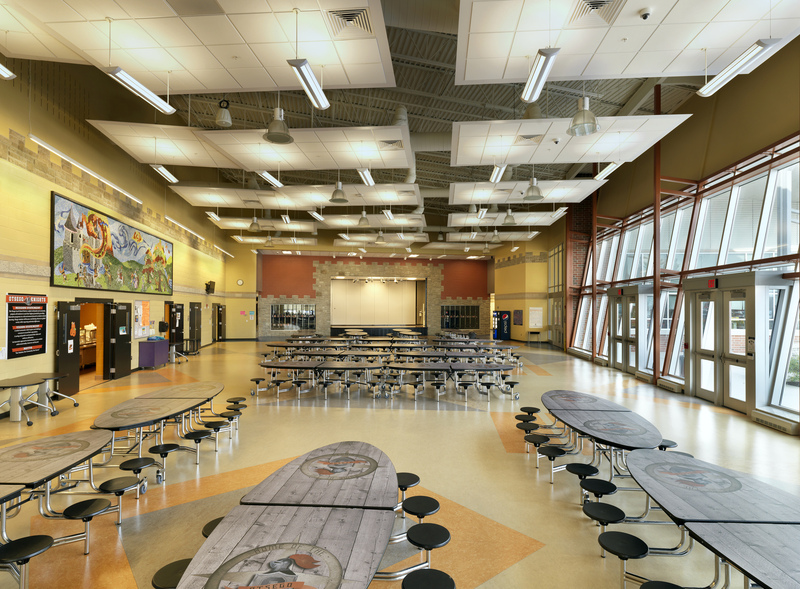 Daylight glazing throughout the building paired with a daylight harvesting system; underground rainwater collection and water efficient equipment & fixtures; chilled beam technology and system zoning; as well as outdoor learning labs contribute to the project’s achievement of LEED for Schools v2009 Silver Certification.